Section D: Carrigtwohill Utd A 4 Springfield 1; Glenvale 3 Glen Celtic A 3. 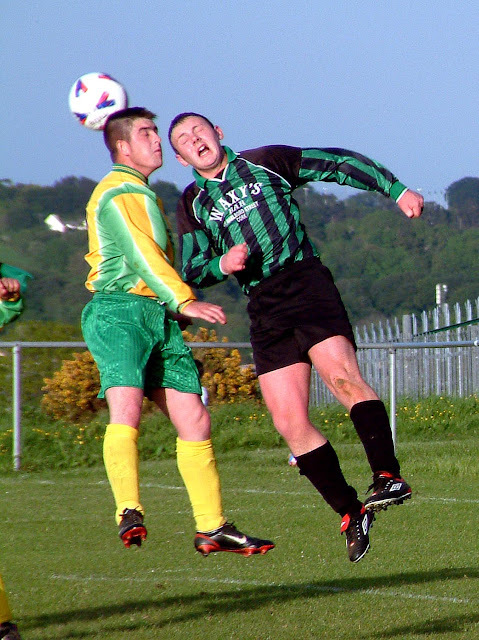 AUL 2: Rylane Celtic 2 Newmarket Town 1; Afton Villa 2 Macroom 2; Strand Utd 4 CFC Banteer 0. AUL 2A: Corkbeg 0 St John Boscos 1; Glen Celtic 4 Shandon Celtic 1; Grangevale 0 Park Utd B 2. AUL 3: Innishvilla 2 Parkview Celtic 2; Castlelack 2 St John Boscos 2; Glenthorn Celtic 5 Knocknaheeny Celtic 6; Greenwood B 1 Richmond 0. AUL 3A: Carrigaline Utd 0 Leeview Ath 8; Carrigtwohill Utd B 3 Dunbar Celtic B 4; St John Boscos 1 Pearse Celtic B 4; Tower FC 1 Crescent Ath 5. AUL 3B: Coachford 1 Lakewood Ath 2; Ballinhassig 2 Strand Utd 2; Glanworth Utd v Waterloo (off); Bweeng Celtic 3 Los Zarcos 3.